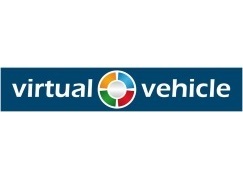 The VIRTUAL VEHICLE Research Center (ViF) was founded in 2002. Since 2008 ViF has been a holding company of the Austrian COMET K2 research program K2-Mobility – Sustainable Vehicle Technologies – an international institution building the bridge between fundamental research and application-oriented vehicle development. This program offers an attractive cooperation and research platform in the vehicle industry. There are more than 200 employees at ViF, almost 90 % of them involved in research projects dealing with automotive and rail applications. At ViF, the workgroup for Thermal Management and Mobile Air Conditioning is mainly concerned with simulations and measurements of refrigerant and cooling cycles for mobile applications like passenger cars, trucks and trains. Especially reversible heat pump systems (like foreseen in OPTEMUS) integrated in the thermal management system were the focus of the research projects during the last years. ESI boasts a unique know-how in Virtual Product Engineering, based on an integrated suite of coherent, industry-oriented applications. Addressing manufacturing industries, Virtual Product Engineering aims to reduce or replace physical prototypes by realistically simulating a product’s behaviour during testing, to fine-tune fabrication and assembly processes in accordance with desired product performance, and to evaluate the impact on product use under normal or accidental conditions. ESI’s solutions enable collaborative and open environment for End-to-End Virtual Prototyping. These solutions are delivered using the latest technologies, including immersive Virtual Reality, to bring products to life in 3D; helping customers make the right decisions throughout product development. The company employs about 1000 high-level specialists worldwide covering more than 40 countries. The Fraunhofer-Gesellschaft (FhG), the largest organization for applied research in Europe, undertakes applied research of direct utility to private and public enterprise and of wide benefit to society. FhG maintains roughly 80 research units, including 68 Fraunhofer Institutes, at over 40 different locations throughout Germany. The Fraunhofer-Gesellschaft participates with its institute for Structural Durability and System Reliability (Fraunhofer LBF), Electronic Nano Systems (Fraunhofer ENAS), Microelectronics and Microsystems Technology (Fraunhofer ISIT) and Laser Technology (Fraunhofer ILT). The FhG performs research together with its partners on behalf of the industry, the trade associations, federal ministries, German Research Society and the European Union. Among others, Fraunhofer is member of the European Automotive Research Partners Association EARPA, the European Road Transport Research Advisory Council ERTRAC, the European Green Vehicle Initiative Association EGVIA and the European Technology Platform on Smart System Integration EPoSS. The Fraunhofer LBF looks back on 75 years of experience in the field of structural durability and nowadays has expanded this core competence with the expertise in adaptronics, plastics and system reliability. With its overall competences in these fields, customized solutions for safety relevant products are being developed, evaluated and realized by the LBF with a team of more than 450 employees together with the associated Chair of System Reliability and Machine Acoustics SzM and Chair of Macromolecular Chemistry of the TU Darmstadt. In doing so, the full added value chain is considered, from the idea to the product, from the material to the system and over the full life-cycle. For the customized solutions, the LBF provides versatile test facilities on more than 17.000 m2 which are complemented by the Virtual Test Lab for numerical simulations and testing. Since 1 July 2012, the German Institute for Polymers (DKI) became a division of Fraunhofer LBF. Thus, the competences of the Fraunhofer LBF have been extended by synthesis, processing, analysis and testing of functional and engineering plastics. Fraunhofer ENAS has been recognized as specialist of early stage feasibility studies and prototyping methodologies by all major customers in automotive and aeronautics industries. With about 420 employees and more than 11,000 m² of usable floorspace the Fraunhofer ILT is worldwide one of the most important development and contract research institutes of its specific field. The activities cover a wide range of areas such as the development of new laser beam sources and industrial laser processes. This includes laser based joining processes for electrical connections. Especially in the field of joining electrical components and battery cells activities at ILT have increased. Research at ILT focussed on joining copper and/or aluminium for heat sensitive components have pushed the topic of battery joining. In the field of transport, IFP Energies nouvelles develops technologies to reduce the emissions and fuel consumption associated with road and air transport. Its research work relates to the improvement of conventional powertrain performance, assessment and validation of alternative, low-carbon fuels and vehicle electrification, in particular. It also develops technologies and processes for the production of low-carbon electricity and heat. reducing the time-to-market of research results. CRF participates with a leading role in the European “Green Vehicle Initiative” and “Factories of the Future”, the Public Private Partnerships conceived by the European Commission in 2009 to focus public and private research on issues of direct and significant relevance to Europe with regard to the competitiveness of industry and employment. Within this context, CRF is actively involved in key European Technology Platforms including: ERTRAC (road transport), EPOSS (smart systems), EUMAT (materials), MANUFU-TURE (manufacturing), each of which has proved to be particularly effective at bringing together key stakeholders within an integrated approach to research and innovation. CRF is also supporting the Joint Technology Initiative ECSEL (Electronic Components and Systems for European Leadership). The Automotive Group with its three divisions Chassis & Safety (sales of approximately €7.3 billion in 2013, roughly 36,500 employees), Powertrain (sales of approximately €6.3 billion in 2013, roughly 32,400 employees) and Interior (sales of approximately €6.6 billion in 2013, roughly 34,400 employees) achieved sales of approximately €20 billion in 2013. The Automotive Group is present in more than 170 locations worldwide. As a partner of the automotive and commercial vehicle industry, it develops and produces innovative products and systems for a modern automotive future, in which cars provide individual mobility and driving pleasure consistent with driving safety, environmental responsibility, and cost-efficiency. The Chassis & Safety division develops and produces electronic and hydraulic brake and chassis control systems, sensors, driver assistance systems, airbag electronics and sensors, windshield washer systems, and electronic air suspension systems. Its core competence is the integration of active and passive driving safety in ContiGuard. The Powertrain division integrates innovative and efficient system solutions for vehicle powertrains. The comprehensive range of products includes gasoline and diesel injection systems, engine management and transmission control, including sensors and actuators, as well as fuel supply systems, and components and systems for hybrid and electric drives. Information management is at the very heart of the Interior division, which provides a range of products that includes instrument clusters and multifunctional displays, control units, electronic car-entry systems, tire-monitoring systems, radios, multimedia and navigation systems, climate control systems, telematics solutions, and cockpits. Mondragon Goi Eskola Politeknikoa S.Coop. is the Faculty of Engineering of MONDRAGON UNIVERSITY (EPS-MU). EPS-MU has a socially-orientated initiative and vocation, and was declared a non-profit University of common public interest. One of the main characteristics of EPS-MU is our close and permanent relationship with the working world, enabling us to outline our educational offer by adapting it to the needs of companies and organisations. The Faculty of Engineering of EPS-MU has approximately 238 employees. The participation of the professors at EPS-MU in research projects is one of the important focal points in its educational innovation process. The research of EPS-MU is oriented to the following fields: electrical energy, mechanical design & manufacturing, material science, embedded & information systems and industrial management. EPS-MU brings into OPTEMUS critical expertise related to the modelling, design and control of TEDs and the integration of electrical systems in vehicles. Sistemi Sospensioni S.p.A. is a company of the Magneti Marelli Group. Magneti Marelli is an international Group committed to the design and production of hi-tech systems and components for the automotive sector. With more than 38.000 employees, 85 production units, 12 R&D Centres and 26 Application Centres, the Group has a presence in 19 countries and supplies all the most important car makers in Europe, North and South America and Asia. Magneti Marelli is providing its know-how and wide-ranging expertise in electronics, through a process of ongoing innovation and environmental sustainability in order to develop intelligent systems for active and passive vehicle safety, onboard comfort and powertrain technologies. Magneti Marelli business areas are: Automotive Lighting (front and back lighting systems), Powertrain (gasoline, diesel and multi-fuel engine control systems; Automated Manual Trasmission “Freechoice” gearboxes), Electronic Systems (instrument clusters; infotainment & telematics, lighting & body electronics), Suspension Systems (suspensions and shock absorbers), Exhaust Systems (exhaust systems, catalytic converter and silencing systems), Plastic Components and Modules (car plastic components), After Market Parts and Services (spare part distribution for the Independent Aftermarket – IAM; Assistance network and Checkstar body shop), Motorsport (specific electronic and electro – mechanical systems for championship at the cutting edge of technology, in F1, in MotoGP, SBK and the WRC). In particular, Sistemi Sospensioni S.p.A. is dedicated to the design and production of suspension components, suspension modules, and shock absorbers. It is based in Turin and it is also present in Poland and in Brazil as well as in Italy. Regarding the shock absorbers, the available products cover a wide range of automotive applications, from the passive shocks to the electronically controlled shocks. The innovation, design, development and testing skills are capable of satisfying the customers’ most demanding technical specifications. The high production verticalisation ensures a mastery of all technological processes employed in the construction of shock absorber components. Consequently, the in-depth knowledge of materials and processes guarantees a high level of quality. The mission of public University Scuola Superiore Sant’Anna is to provide excellence education at graduate, doctoral and postdoctoral level, and to perform excellence research in engineering, medicine, agriculture, economics, law and political science. The BioRobotics Institute of Scuola Superiore Sant’Anna (SSSA-BRI) is an integrated system aimed at innovative research, education and technological transfer, and it intends to create new companies in high technology sectors (biomedical engineering, micro-engineering, robotics, mechatronics), through young, qualified and creative human resources trained in its research laboratories. The Director of the BioRobotics Institute is Paolo Dario and it is composed of about 200 persons (more than 80 are PhD students). The average age is 31.5 years. The foreign students are 10%. The women are 34%. The BioRobotics Institute has been started on January 1, 2011, by merging the ARTS and the CRIM Labs and the EZLab Research Centre of Scuola Superiore Sant’Anna. The three Labs were founded by Prof. Paolo Dario with the specific mission to perform applied research on micro-mechatronics and on robotics mainly in the biomedical and environmental fields, and to implement service activities aimed at promoting industrial take-up and research exploitation. Seven Faculty Team, several Post-Docs researchers and more than 60 PhD students are currently involved in the ongoing research projects. In addition to this, the Institute of Biorobotics, is an industrially relevant component of the Scuola Superiore S. Anna where creative and competent young researchers with multidisciplinary background addresses a number of challenging research projects, arising from contacts with companies, through focused activities targeted at solving real industrial needs. The availability, in-house, of state of the art fabrication technologies (including 3D printers and laser cutting for digital manufacturing, ultra-precision CNC, sink and micro-wire electrodischarge machining, micro-moulding, characterization equipment) allows to optimize the virtuous loop connecting ideation with prototyping and to provide fast delivery of working physical systems in collaborative projects. B&W is a specialised consultancy firm dedicated to definition and facilitation of Open Innovation strategies for large industrial corporations as well as smaller high-tech companies, research institutes and governments. B&W has over 15 years experience in setting up and managing collaborative R&D projects, in most cases within the respective Framework Programmes. Its team consists of some 15 people; annual turnover is between 1 and 1,5 million euros. The Group of Electrical Engineering (ELT) of the Department of Information Engineering, Electrical Engineering and Applied Mathematics (DIEM) of the University of Salerno (UNISA) since 2000 is very active in the field of energy harvesting, and in particular on photovoltaic systems, fuel cells and energy storage. The ELT Group has a consolidated cooperation with leading industries (e.g. Texas Instruments, Bitron, PowerOne) and Universities (e.g. Stanford University, University of Lorraine). The main research products in the field are more than 60 papers published in high impact international journals, more than 150 presented in IEEE international conferences and 7 international patents (of which, one owned by Power One and two owned by Bitron). Authors of the book: N.Femia, G,Petrone, G.Spagnuolo, M.Vitelli “Power Electronics and Control Techniques for Maximum Energy Harvesting in Photovoltaic Systems”, CRC Press 2012. The Energy and Propulsion Laboratory (eProLab) at the Department of Industrial Engineering (DIIN) of University of Salerno performs research activity in several fields related to Energy Conversion Systems and Propulsion. Since 2000, the group is very active in studying alternative propulsion systems, such as hybrid and solar hybrid vehicles. DENSO Corporation, headquartered in Kariya, Aichi Prefecture, Japan, is a leading supplier of advanced automotive technology, systems and components for the world’s major car makers. DENSO operates through more than 200 subsidiaries and affiliates in 35 countries. We employ approximately 140,000 employees across all aspects of our automotive business: from sales and product development to design and manufacturing. Consolidated global sales for the fiscal year ending March 31, 2014 totalled €30.6 billion, approximately 9.4% of which was invested in research and development. DENSO common stock is traded on the Tokyo and Nagoya stock exchanges. Alongside a focus on product quality and innovation, DENSO places particular importance on environmental concerns and Corporate Social Responsibility (CSR) activities. DENSO THERMAL SYSTEMS SpA (DNTS), originally established as Magneti Marelli Climatizzazione SpA, having 2 main shareholders FIAT Group (75%) and Denso Corporation (25%). In 2001 the Company became part of Denso Corporation Group after full acquisition of shares from FIAT Group. DNTS Group of industries has operations in Italy (2 sites), Poland, Spain, Portugal, Morocco, Brazil, Argentine and India. It is part of the Denso Corporation Thermal Systems Group, having other operations in Germany, Turkey, Checz Republic and UK. The entire thermal systems related business and operations in Europe are controlled by an European Organization called Thermal Europe Center (TEC) with Headquarter in Poirino (Torino). DNTS Group has currently around 3500 employees worldwide, with 3 technical centres: in Italy (Poirino) with 150 engineers and technicians as associates (main technical centre), in Portugal, specialized on charge air coolers for gasoline or diesel engines and in Brazil (Betim). Main business by DNTS is sales of thermal systems and components for automotive (air conditioning and engine cooling), engineering services, design, testing and R&D. In this process ika is involved in the development of the idea, up until the completion of a finished prototype, focusing on the demands of sciences and industry. The institute’s extensive infrastructure is the basis for intensive research for large parts of the automotive industry, as well as for publically funded research by the EU as well as on a federal and national level. In addition to the drive, battery, chassis and tire test beches it also comprises acoustic, thermal dynamic and servo hydraulic research facilities. Furthermore, it isenriched by a full vehicle crash test facility, a driving simulator, by test tracks as well as latest measurement technology and up-to-date simulation environments. ika employs more than 135 members of staff and about 200 student assistants. In addition to that, more than 200 student research projects, bachelor, master and diploma theses are part of our research and development projects. ESI Software Germany is a subsidiary of ESI Group. Its Virtual Reality product named IC.IDO is an exceedingly powerful solution combining high-end visualization and real-time simulation of product behavior in its actual size, and allows product operation very close to reality. IC.IDO enables to perform collaborative and immersive design reviews, to evaluate and optimize assembly and disassembly sequences, to verify resources and tooling for both manufacture and maintenance, to support documentation and workflow animation/ training. IC.IDO is predestinated to be enhanced to a platform for End-to-End Virtual Prototyping making use of ESI’s further simulation solutions.